As we look at the calendar, our year is slowly coming to an end. We hope for one last final journey to cap off what has been a special year for the whole family. We begin our journey in Truckee, where the first signs of fall have already arrived. Cooler temperatures have brought the changing of the aspen. The golden leaves of aspen groves contrasting to the surrounding evergreen pine and fir forests. The water in Donner Lake was already cooling back off, but the sun still warmed enough to get us all out for a short dip. 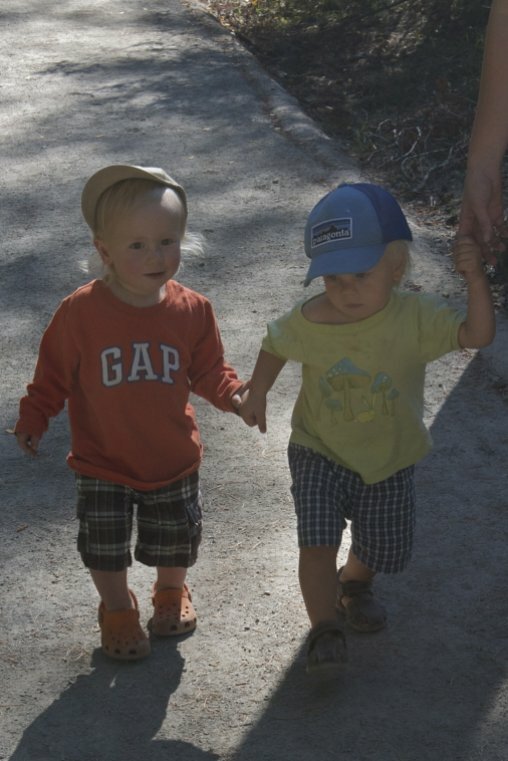 However, Truckee was more about visiting cousin Sage once again before we head back to Norway in December. In January we moved into a little one room annex on my sister's house in Truckee where we spent the winter. Frêney and Sage were still learning to walk and spent most of the time on the floor and watching them grow this past year has been a highlight. As we wind down our time in California, we are fortunate our kids have been able to spend time with all their cousins and develop a closer relationship to them.